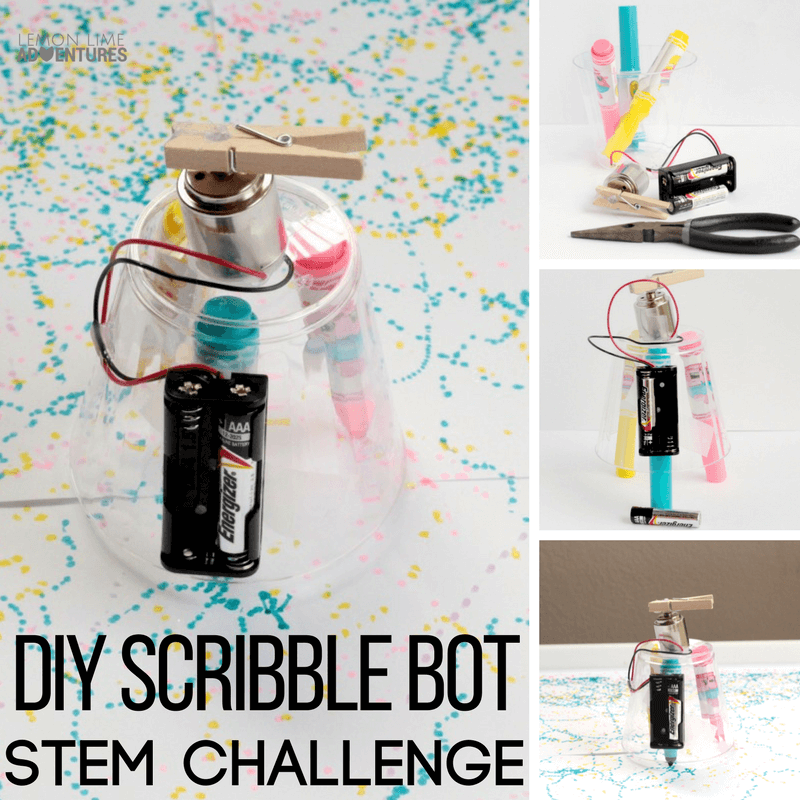 My kids and I love finding fun STEM building challenges for kids, and one project we’ve wanted to try for ages is making a DIY scribble bot. 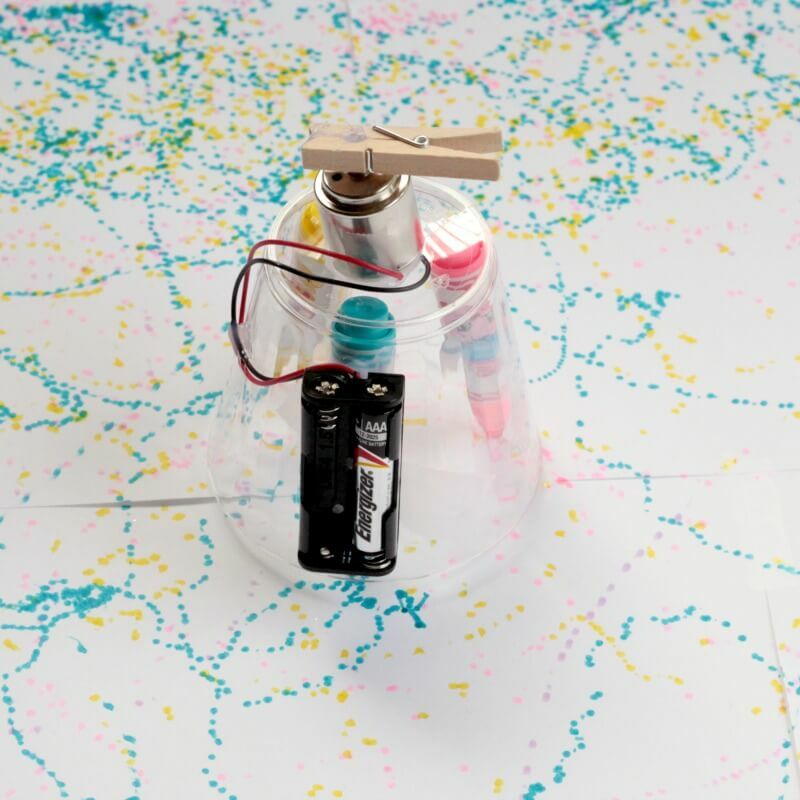 A scribble bot is a little robot that colors on its own. 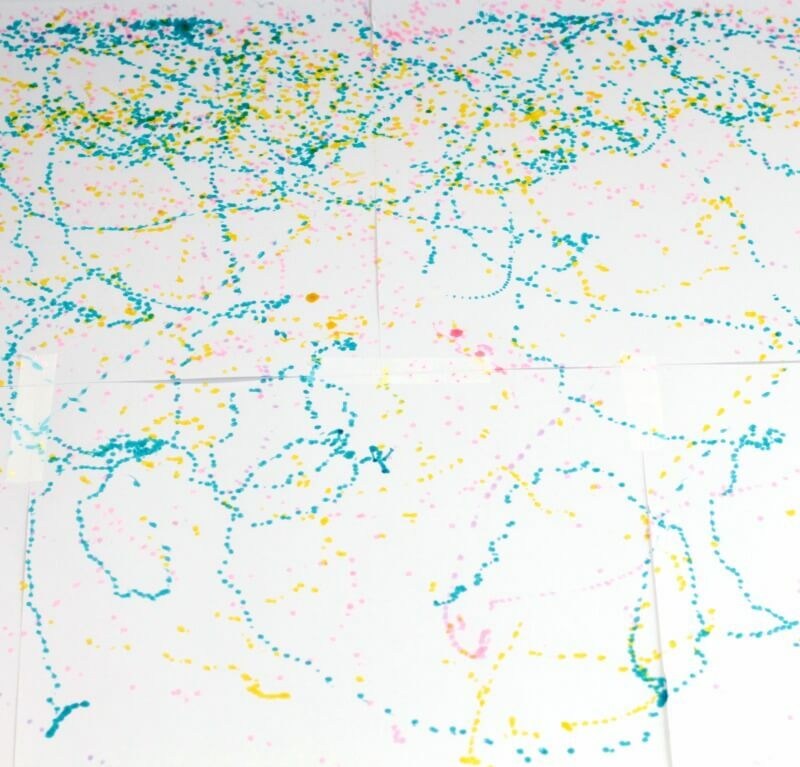 Most scribble bots operate off of a vibrating motor that helps the robot skip across a piece of paper. 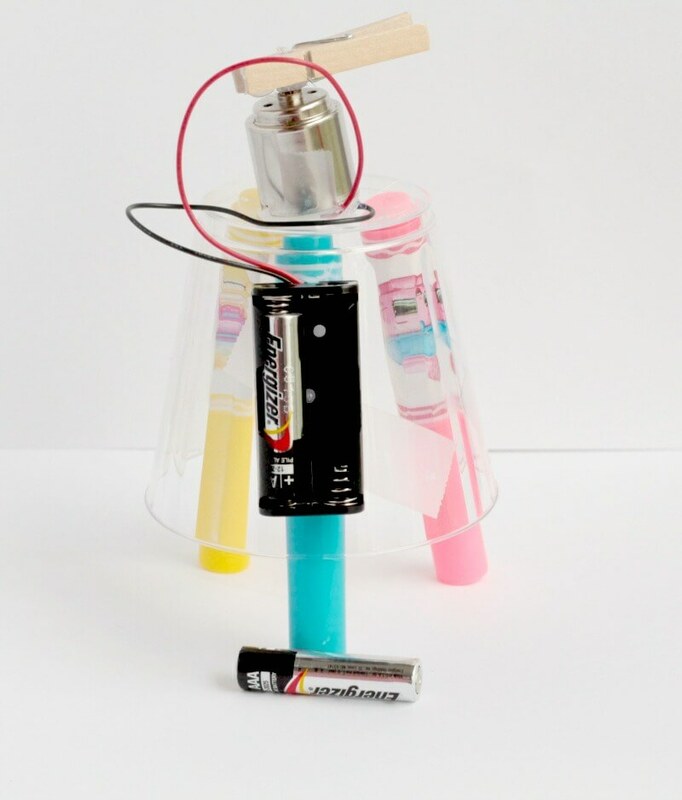 If the robot’s “legs” are art supplies, the robot will paint/draw/whatever on its own. You will be surprised to see how easy it is to make a working robot and your kids creativity will go nuts with thinking of fun variations for this basic scrub brush robot design. 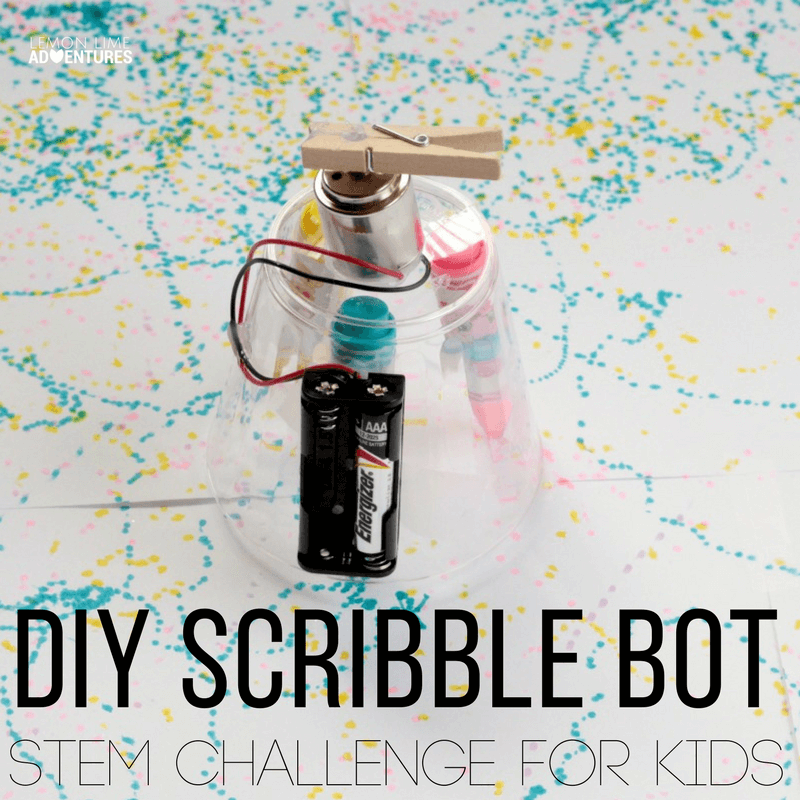 After we made our scrub brush robot, we knew we could easily make a DIY scribble bot. The building principle is the same. The motor is powered by the battery pack. Forcing the motor to operate off kilter will make it vibrate, which is how the robot moves. First, connect your battery pack wires to the motor. Plug in the batteries to ensure the motor works properly. Don’t build the robot while the motor is running. Use scotch tape or electrical tape to hold the wires in place. 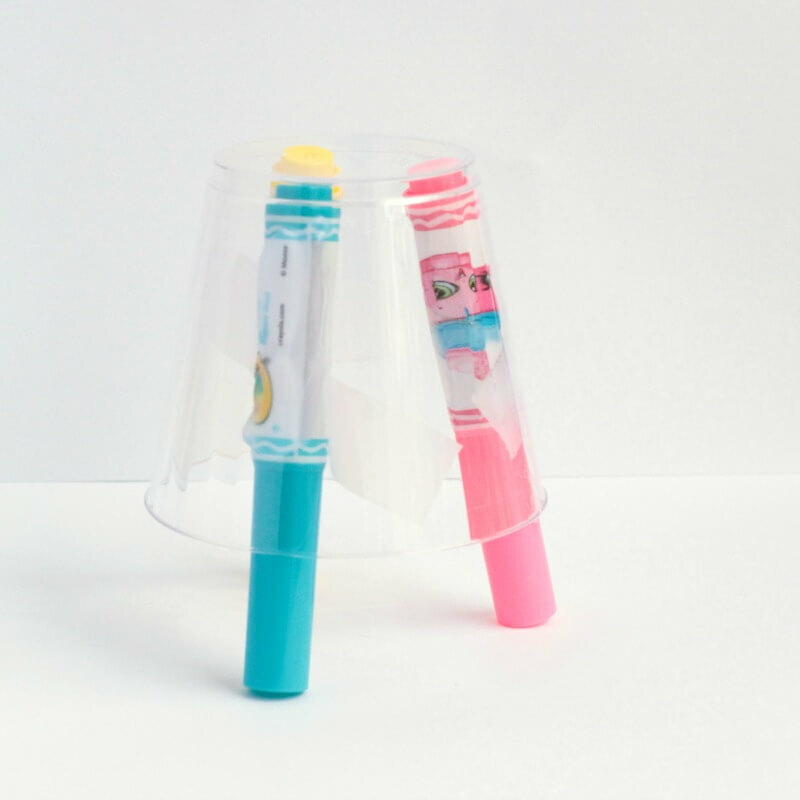 Glue your markers inside the cup, making sure it can stand on its own without falling and that it can write while moving about. 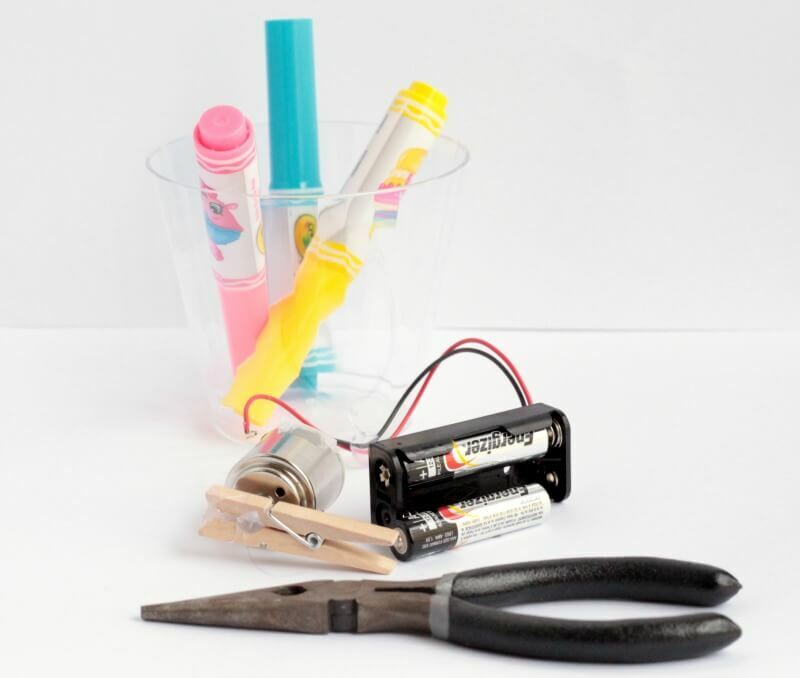 Glue a mini-clothespin to the motor’s rotor so it will spin around and cause the motor to vibrate. Glue or tape your motor and battery pack to the outside of the cup. Plug in the batteries and watch it go crazy! Soon, your whole paper will be covered in marks. 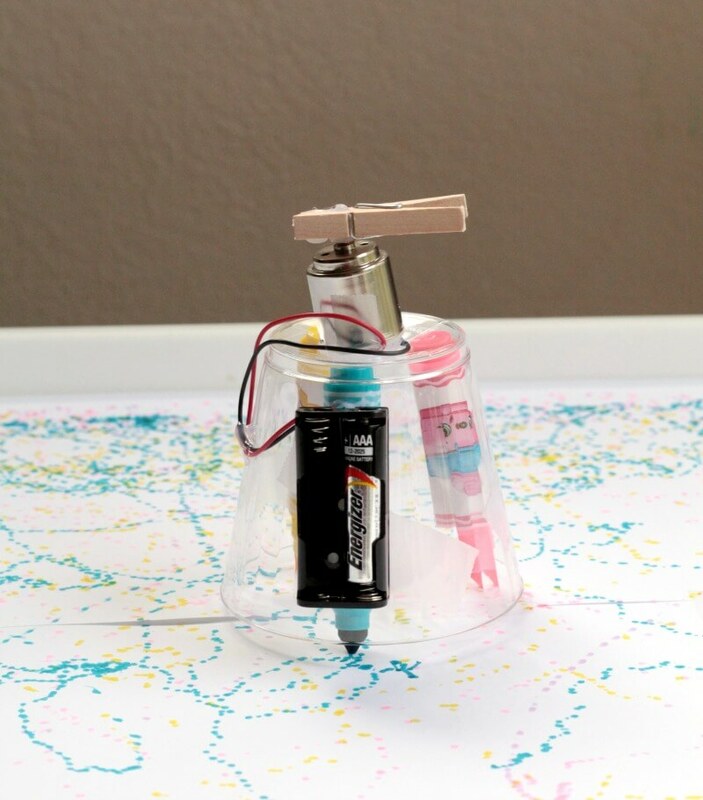 Scribble bots are a fun way to bring a little art into electrical engineering lessons. 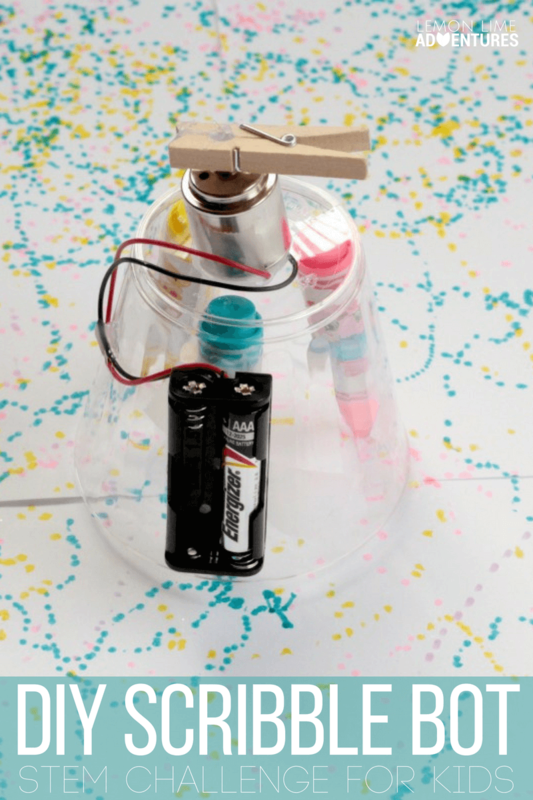 Kids may be a little intimated by working with motors and wires, but this project helps them see it doesn’t have to be hard and can be loads of fun! My kids had tons of fun learning about motors, DC power, electrical engineering, and the basic design of a robot. 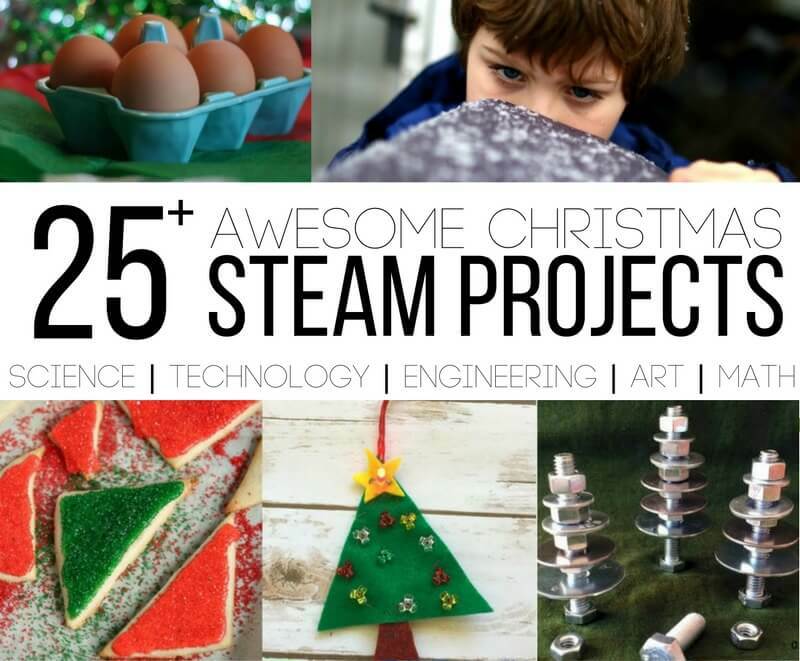 Looking for more STEAM (Science, Technology, Engineering, Arts and Math) projects and inspiration? Can’t get enough Valentine’s Day and STEAM? We’ve got you covered. 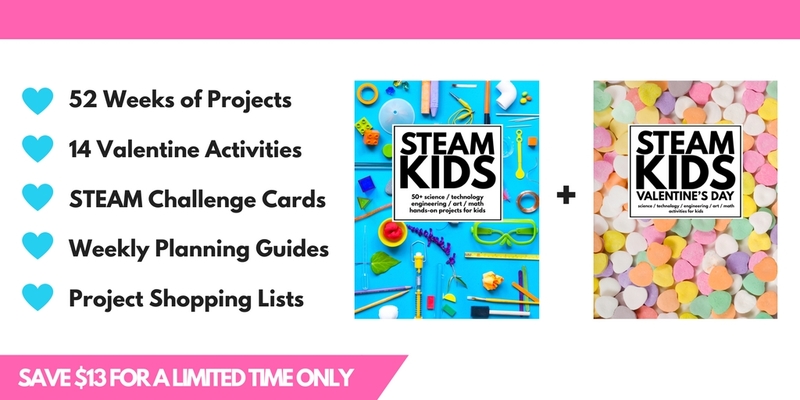 With the super affordable, super sweet STEAM Kids Valentine’s Day! During our launch sale, you 14+ STEAM (Science, Technology, Engineering, Art & Math) activities that will wow the boredom right out of kids for just $4.99 ($7.99 after 2/1/17). Perfect for children ages 4-10, the step-by-step activities are easy to follow and most use supplies you have already on hand. 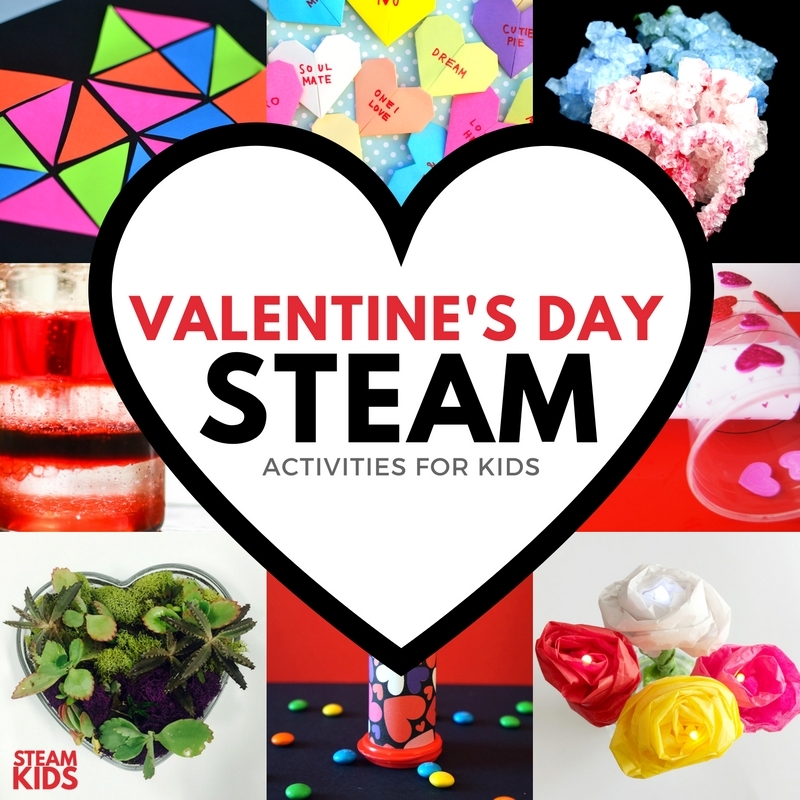 So gather up your curious kids and get your Valentine’s Day STEAM on! Or maybe you need something for all year-round, not just Valentine’s Day. Then pick up the first STEAM Kids book. It has a Year’s Worth of Hands-on Science, Technology, Engineering, Art, & Math Activities for Kids. Plus a lot more…. 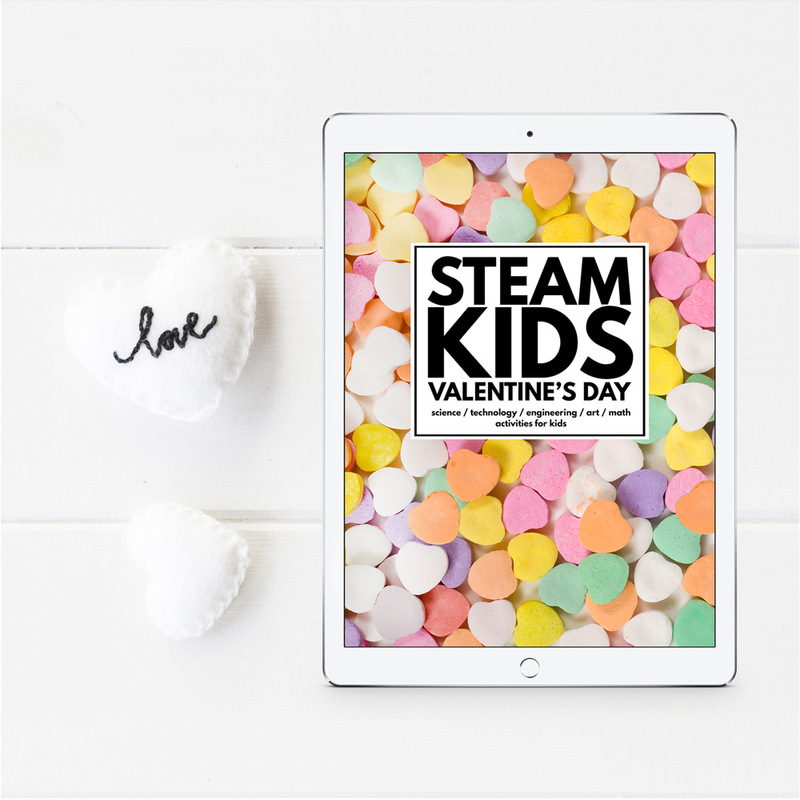 And, you get a free STEAM Kids Valentine’s Day EBook with every purchase of the original STEAM Kids book.